As we grow closer to this years Independence Day I’d like to remind everyone to be safe and have fun.This file is one I created a few months ago, and has been one of my best sellers bringing in a total of somewhere in the range of 60 cents ;). But, at least it gives me something to do. 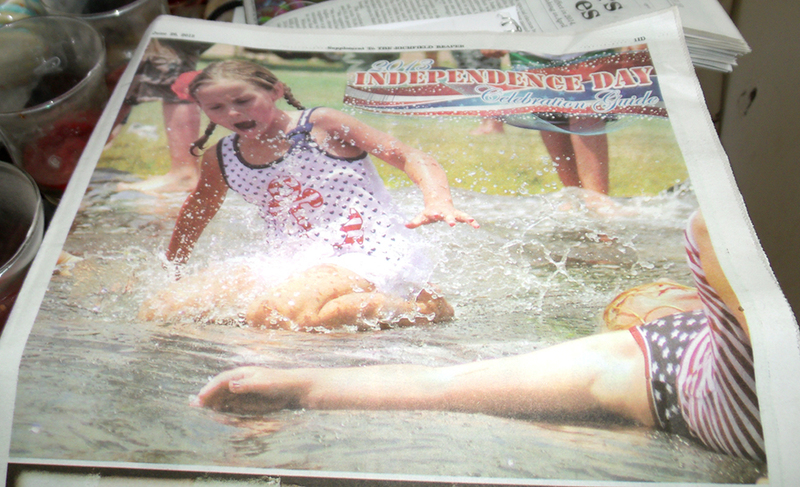 Also, don’t forget to grab your Independance Day Celebration Guide from the June 26 Reaper. The cover I designed features a beautiful picture Taken by Chad Hunt, the flourish behind the text was provided by Creative Outlet. So all I can take credit for is the font and layout. The section features information about festivities this holiday, as well as advertisements from local businesses.